Whether you’re looking for close-toleranced machined parts for the defense industry, or basic commercial sheet metal parts, Latitude’s years of experience and knowledge-base make us the perfect fit for your application. 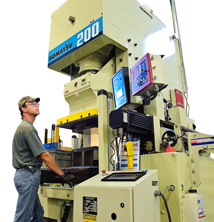 Latitude’s vast machining, fabricating and coating capabilities provide parts and assemblies quickly, accurately and cost effectively. Latitude has always been driven by providing excellent customer service, and by providing quality parts with on-time deliveries at competitive prices. Our experience in the defense, commercial and architectural industries has given us a well-rounded approach to your unique project needs. By providing high part quality and outstanding customer service, Latitude has now grown to a multi-plant business with over 200,000 square feet of air-conditioned manufacturing space with plants in both Wisconsin and Arizona. 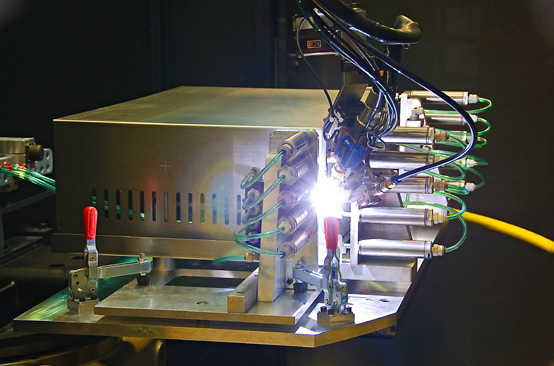 Latitude provides individual parts and assemblies that are machined, fabricated and coated for a broad spectrum of customers including aerospace, medical, appliance, analytical instrumentation, imaging, etc. Latitude is currently a supplier of parts & assemblies to major defense contractors. Completed assemblies consist of machined / fabricated parts including finish & printing. We comply with ITAR requirements. Latitude provides an architectural line of acoustic absorbing and reflective products used in auditoriums, concert halls and churches. In addition, we provide custom designed catwalks.